HMY Yacht Sales | Tim Gredick | Why Tim? 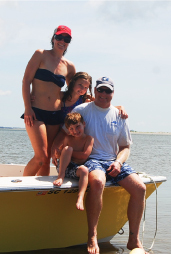 Growing up in Cold Spring Harbor, NY, Tim enjoyed cruising and fishing with his family throughout the Northeast. Tim attended Roanoke College and it was there that he met his wife. 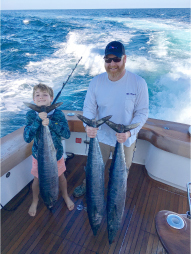 After graduating with a Bachelor's Degree in Business Administration, he and his wife moved to Charleston, South Carolina, where they began their family and Tim started a career with Charleston Yacht Sales. Tim joined HMY Yachts in 1999 and has since been a top-producer for the Charleston office and company-wide, receiving numerous sales awards at HMY's annual sales meetings. He is a Viking Master's graduate and is well-versed in all aspects of the transaction process including surveys, tax laws, market valuations, marine finance and insurance as well as contract negotiations. With his strong work ethic and extensive industry experience, Tim makes purchasing and/or selling a yacht the best possible experience for his clients. He works diligently before, during, and after the transaction to ensure the needs of his clients are satisfied. Tim's understanding and mastery of today's digital photography equipment gives his clients an important edge when it comes to presenting a boat for sale. Global clients are now a significant part of the business and Tim's photography will provide a professional presentation of your vessel both in print ads and on the internet. Fishing is Tim’s passion, he is involved with the S.C. Governor’s Cup and on the board of the S.C. RFA. He enjoys fishing at home and all over the world with clients, friends, and his young family. 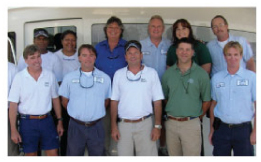 HMY maintains nine highly visible storefronts at marinas with full time support staff from Charleston to Miami. HMY maintains an aggressive marketing position on the world’s largest yacht listing site YachtWorld.com. This includes enhanced search features utilized on every HMY Yachts listing. The HMY Marketing Team are experts in digital marketing tactics to provide the highest number of online visitors possible to your listing. Whether it's success on search engines, social media marketing, utilizing the top industry websites to generate traffic, or our monthly email marketing communications, HMY has the most dominant digital marketing strategy of any brokerage firm. Email Marketing. HMY Yact Sales has one of the most robust client databases of yacht owners and sellers in the world. Twice a month HMY emails our clients with the latest yachting news and select listings on the market. Every email we send out provides multiple leads for our selling clients. Google Results. 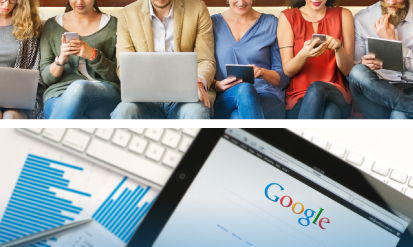 Google is one of the largest providers of web traffic and leads for HMY. Whether organic rankings or paid ad, HMY is always on top of Google for motor yacht and sportfish brands like Viking Yachts, Princess Yachts, Cruisers Yachts, Hatteras Yachts, Azimut Yachts, and so many more. Social Media. HMY has one of the most engaged presences of any brokerage firm on social media. Whether it's Facebook, Instagram, Youtube, LinkedIn, or blog sites like The Hull Truth, HMY utilizes social media to make sure your yacht listing gets maximum exposure. 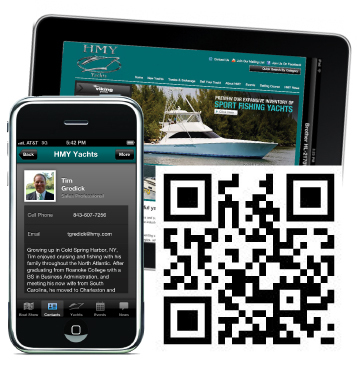 The new HMY Mobile app provides real-time brokerage listings in the palm of your hand via a smart phone. HMY offers Regional and National Print Advertising : Over 20 pages per month in Power and Motoryacht, Yachting, Southern Boating, Marlin, Yachts International, Showboats, Motorboating, InTheBite, Tidelines and Passage Maker. Plus 60,000 issues of HMY Yachts’ own Setting Course magazine each year. HMY maintains a significant display presence at the Ft. Lauderdale, Miami, Palm Beach, and Charleston Boat Shows to promote your vessel. In addition, all of HMY’s 45 Brokers work at the large national shows at our displays. HMY's dedicated support team has decades of experience and know what it takes to successfully navigate the sales and closing process. They understand the unique circumstances that may arise as they have participated in hundreds of transactions a year for over 30 years. HMY networks your vessel with 500 Brokerage Houses around the country to promote your vessel. HMY Yachts represents the most respected brands of new luxury motor yachts, sportfishing yachts and sport cruisers. Our committed focus on customer service has earned the trust of customers on six continents and over 35 countries around the world. HMY Yachts connects buyers and sellers to the greater yachting community like no other yacht brokerage organization in the world. Our innovative marketing strategies, advanced sales technology, and worldwide connections are powered by the most knowledgeable sales force in the industry, committed to meeting your every requirement as we complete the sale or purchase of your yacht. HMY’s commission rates are no higher than a brokerage firm with a fraction of the sales and marketing tools and results that we have to offer you.